One day, the Greek goddess Aphrodite caught Apollo flirting with a shy, beautiful nymph named Paeonia. When Paeonia realized the goddess was watching them, her face flushed a deep rose-red. 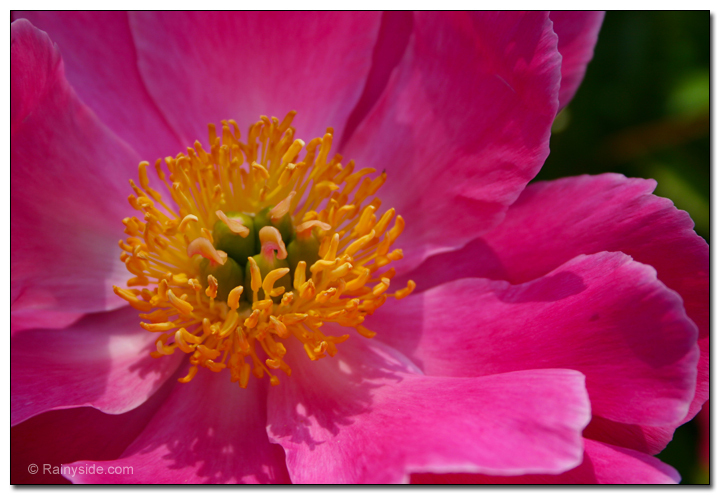 In a fit of jealous anger, Aphrodite turned the blushing girl into a rose-colored peony. According to Greek mythology, modern gardeners owe thanks to their ancient gods for the peonies that continue to blush in our gardens today. 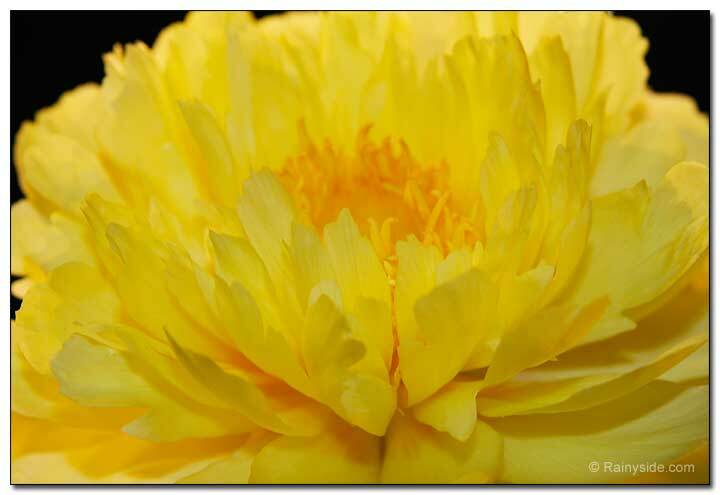 Paeonia’s real journey began more than 100,000 years ago. Geological evidence suggests it represents one of the oldest flowering plant groups. Paeonias have charmed humankind for thousands and thousands of years. Throughout written history, the plant appears in myths, superstitions, poetry, paintings and stories from around the world. It is easy to see why these large, glamorous blossoms would capture people’s hearts. 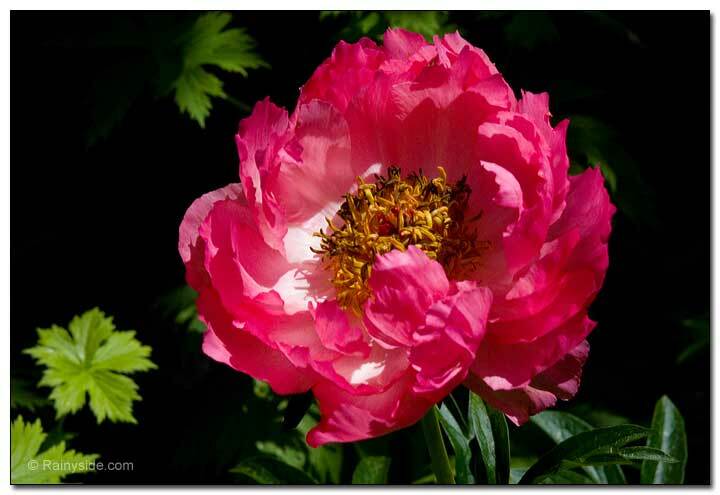 Paeonia’s botanical name comes from the root paean, which is a hymn of praise to a helping god, or derived from the name of a physician to the gods. The name meant healer. The Japanese called peonies the flower of June that brought happiness and marriage, while the Chinese believed it brought prosperity. European colonists loved the plant enough to bring it to the New World, and Victorians thought it represented shame and shyness. Today, the plant shows no sign of going away. Although threatened in the wild in locations around the world, in gardens peonies are here to stay. 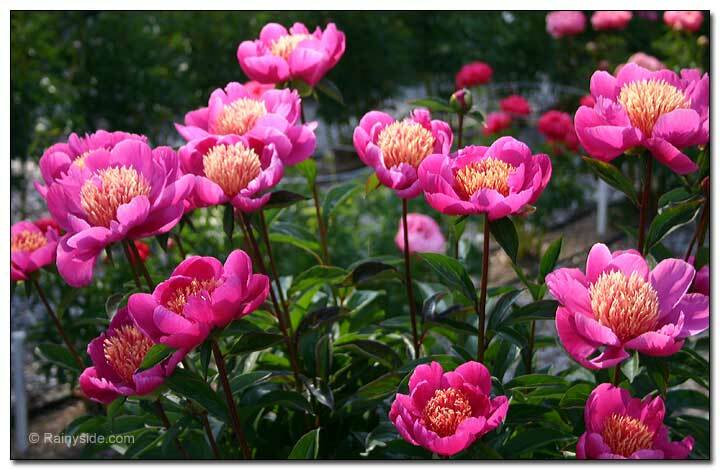 There are three classifications of peonies: herbaceous (perennial), tree (shrub) and Itohs (intersectionals). 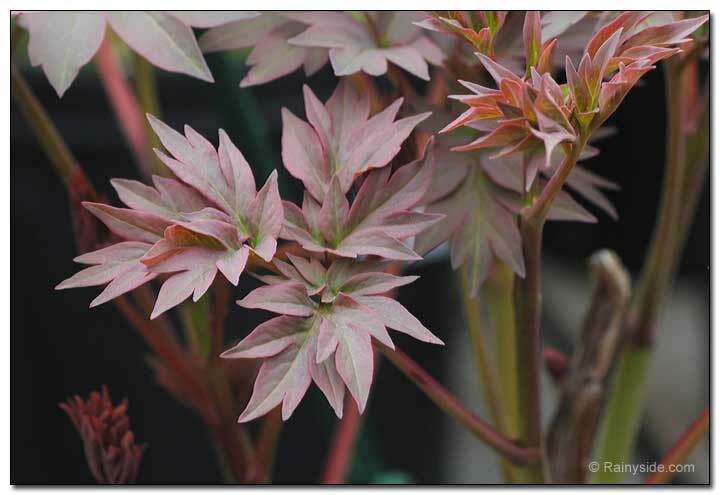 Tree peonies have fewer cultivars to choose from, yet are highly sought after as a specimen shrub for the garden. A more recent group bred in 1949 is a cross between the tree and herbaceous peonies. The intergeneric cross gave new colors of brilliant yellow and orange to the herbaceous plants. Both the herbaceous and Itohs die back to the ground every year, sprout again the following year and grow quickly to blooming size by mid to late spring. The Itohs have stronger stems and are less likely to flop to the ground under the weight of the large flowers. Jim and Ann Mossman owned the peony nursery Boonebriar Farm in Kingston. Even though they have retired the nursery, they still grow peonies in their gardens. Some of the herbaceous peonies they grew were Paeonia 'Lois Kelsey' (double white flowers), 'Friendship' (pink with blush-pink center, single or double flower), 'Coral Charm' (a semi-double, coral-pink flower) and 'Leslie Peck' (deep-pink petals surrounding the spiky, orange-and-yellow petaloids). 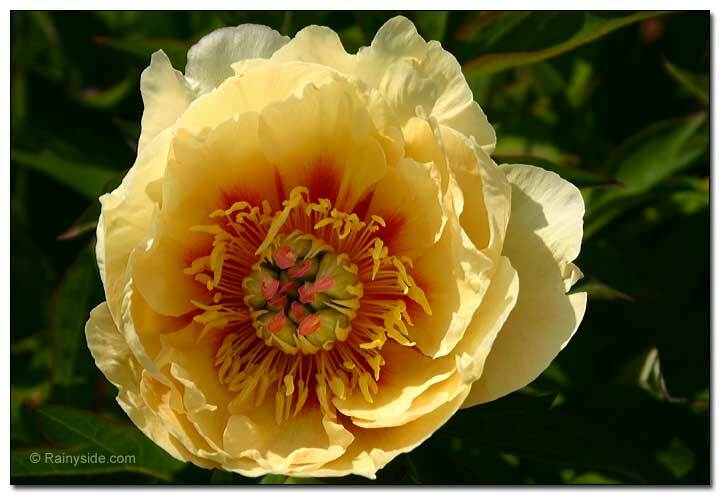 On the farm, they also grew Paeonia 'Garden Treasure,' a phenomenal, bright-yellow, semi-double flower with orange centers. The old-fashioned flowers some remember from their grandmother’s garden remain popular in modern day landscapes. Many are still sought after for their large flowers, fragrance and easy care. The plants can live for 40 years in the garden. Some well-documented specimens have lived over 70 years. 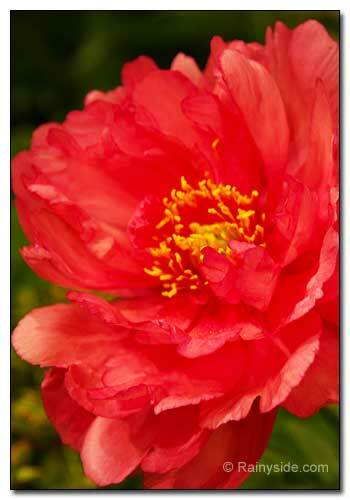 The brilliant flower hues and large blossoms make peonies popular for cut flowers. 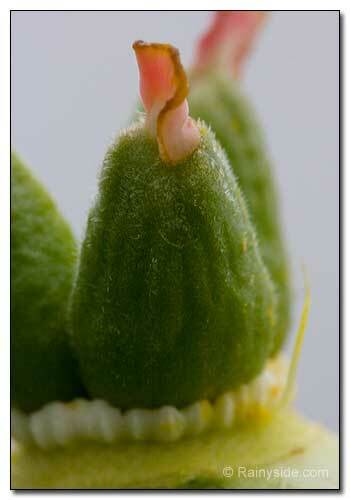 When the fuzzy bud sheath begins to split open and the bud shows the flower’s color, it is time to cut the stems. Some gardeners harvest the entire stem by giving a sharp tug to the side so that it breaks off at the crown. The tips of the stems are then scalded in hot water to reduce the sap flow. The flowers last up to seven days in a vase. As charming as peonies are, they don’t take a lot of effort to grow. 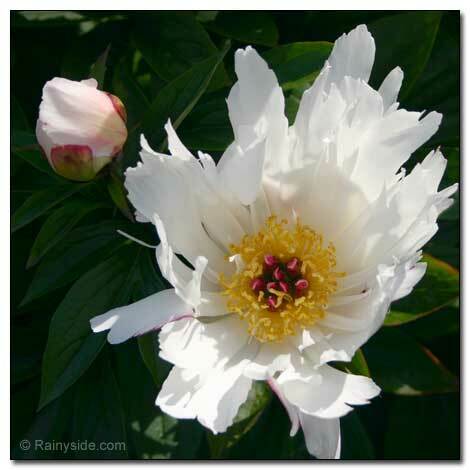 Except for staking herbaceous peonies correctly and planting at the proper depth, they take very little care. Proper planting depth and good air circulation around the plants are important considerations when planting them. 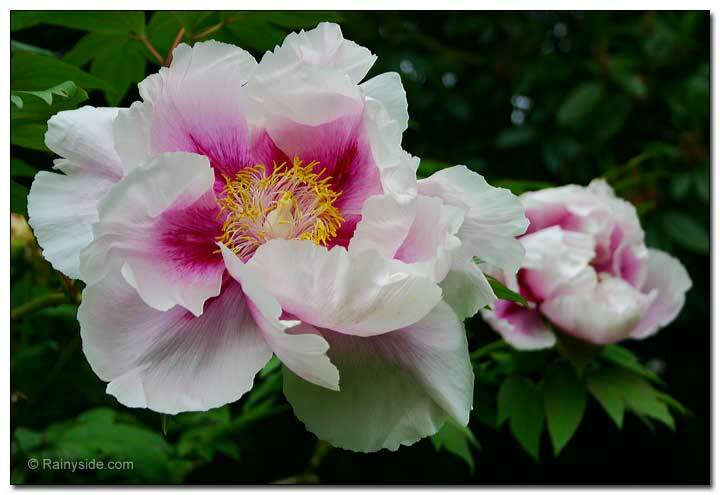 At Valley Nursery in Poulsbo, nursery manager Terri Mitchell shared that the No.1 reason why peonies won’t bloom comes from planting the roots too deep or covering them with too much mulch. Plant the bare roots no deeper than 2 inches. 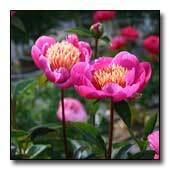 For potted herbaceous peonies, she recommends planting a half-inch deeper than the soil level in the container. 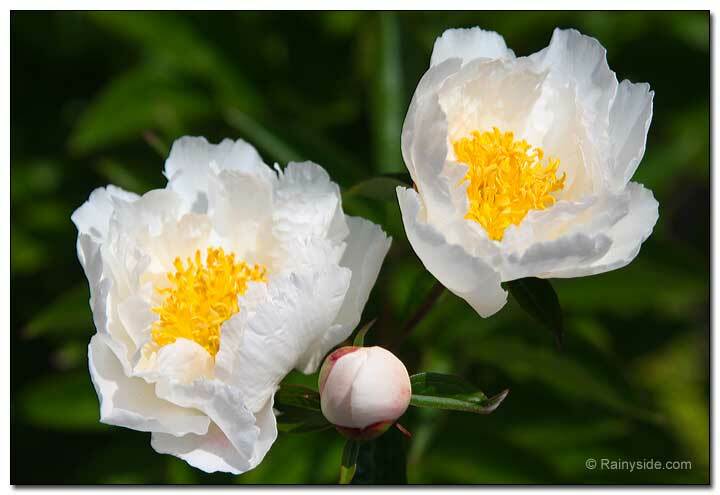 For grafted tree peonies, plant them 4 inches deeper than their graft, so the plants will grow on their own roots instead of the temporary grafted roots. 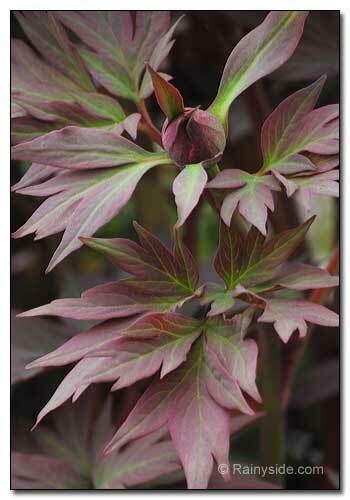 Give your peony plants plenty of elbowroom, as they need good air circulation to prevent gray mold (botrytis). For herbaceous peonies that flop under the weight of their blossoms, you can use green bamboo stakes around the perimeter of your plants and tie with green twine before the plant opens its heavy blossoms. Alternatively, use metal stakes with bendable arms to help contain the plant and keep upright when the weight of the flowers wants to bend the stems to the ground. To keep from spearing the roots, take care when setting stakes, keeping them away from the roots. Most likely, you will notice ants on your peony buds before they open into flowers. Some believe that ants are required to help the buds open; however, this isn’t true. The ants are attracted to the sugary nectar produced by the flower buds. The ants don’t hurt the buds or blossoms and will disappear soon after the flowers open, so no insect controls are necessary. Your peony is a long-term investment that needs proper planting care. These plants can live 40 years or more in your garden. 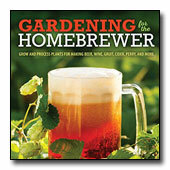 Prepare the garden ahead of time and plant them in an area that receives six or more hours of sunlight a day. Dig a hole at least 15 inches deep and 30 inches wide and away from any competition with tree or shrub roots. Peonies can tolerate the typical acidic soil west of the Cascades; however, for optimum growth, the plants prefer a soil pH 6.0 to 7.0. At planting time, throw three heaping handfuls of lime into the planting hole and mix with soil. 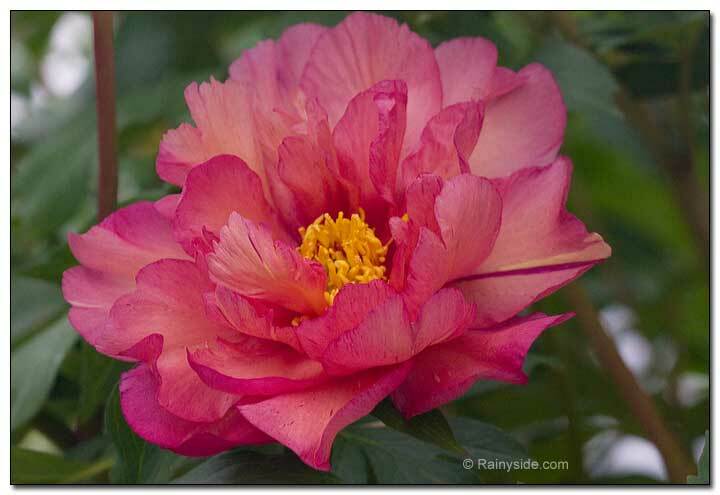 Drought-tolerant once established, your peony will grace your garden for decades to come. Originally written for the West Sound Home & Garden magazine's 2014 summer issue.